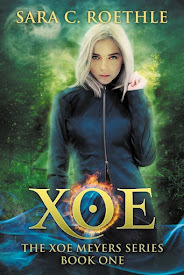 Today (April 16) is release day for book three of The Last Oracle series, The Book of Mayhem (previously titled The Book of Death, more on this name change later). It comes nearly ten months after the second book in the series, The Book of Peril. This is a really long time between releases for me, and led to people wondering why the delay. Here’s the story. 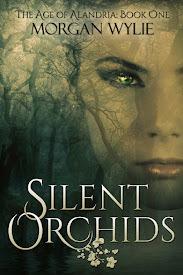 Last year, I was having trouble with the company that published some of my books (the Extraordinaries series and The Last Oracle specifically). Royalties were late, emails I sent were ignored, and I was gradually becoming more concerned about the state of the publisher. In July or August, I submitted two books for them to accept or reject: The View From Castle Always and The Book of Death. While I waited on their decision, my relationship with them continued to deteriorate. I ultimately decided not to publish Castle Always with them, but agreed to review the new contract they claimed would resolve many of the issues. Unfortunately, the contract didn’t satisfy me, as it contained no clauses that would hold the publisher’s feet to the fire when it came to meeting deadlines. So I told them I would not be publishing The Book of Death through them, but would release it under my own publishing imprint. 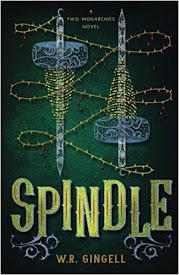 In October, I reconnected with a friend who is also an award-winning cover designer, and having seen her work, I knew I wanted her to take over for The Last Oracle. I’d also decided if things with the publisher weren’t resolved by November 1, I would start proceedings to get the rights back for the five books they’d published. The plan was to start designing the cover for The Book of Death in mid-January, and to rebrand the first two books to match right after that. This was important because The Last Oracle is nine books long (they’re all written!) and I needed to confirm that this designer was on board for the whole series. November 1 came and went with no change to the problems I had. A few weeks later I started nagging the publisher about rights reversion. I knew several authors had already received theirs, which reassured and worried me: reassured because that suggested they weren’t likely to fight me on it, worried because it confirmed my suspicions that the company was circling the drain and I needed to get out fast. It took them two months to respond and send me the rights reversion letter. 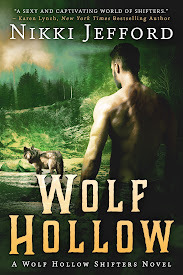 I’m still tangled up with them in terms of back royalties and the insanely complicated situation with the audio rights, but I had control of the two series and I could move forward. I received the rights reversion around the same time the cover design process started. At this point, I was planning on a late February release for The Book of Death. The designer and I were both so excited–she’s a fan of the series and loved the idea of being involved in its creation. We talked initial plans and she went to work. And then I didn’t hear from her for a month. When she finally got back to me, I understood why it had taken so long. We’d originally wanted to do a design without a model on the cover–finding suitable poses for NINE BOOKS is incredibly hard, and I prefer the abstract style anyway, like the US covers for Garth Nix’s Old Kingdom series. But the designer takes her work very seriously, and before she started designing, she did research on contemporary fantasy. And what she found was that most covers in that genre feature a model on the cover. This was a major bump in the road, because the designer wasn’t as experienced with working with human figures, but we were both willing to give it a try. I pushed the release date back a month, and waited again. This time, when she got back to me, she was discouraged. None of the designs she’d tried worked well, and it was looking like she might not be able to do it at all. But I really liked her work, and the idea of finding someone else to do the covers–someone who would be around for all nine–was wearying. So we made some new decisions. She would go back to the original idea of an abstract design with a central image, and if she couldn’t make it work within a certain time period, we’d call it quits. I pushed the release date back again and settled in to wait. But it turned out this was the right decision. She came up with the new design almost immediately, along with rough sketches for the first two books (for branding purposes). The problem was, the cover for The Book of Death looked like a horror novel. It was beautiful, and it was clearly the right approach, but everyone I showed it to agreed it said “horror” instead of “contemporary fantasy.” Which is when I realized the problem wasn’t the design, it was the title. The Book of Death was never not going to sound like horror no matter what we did to the design. 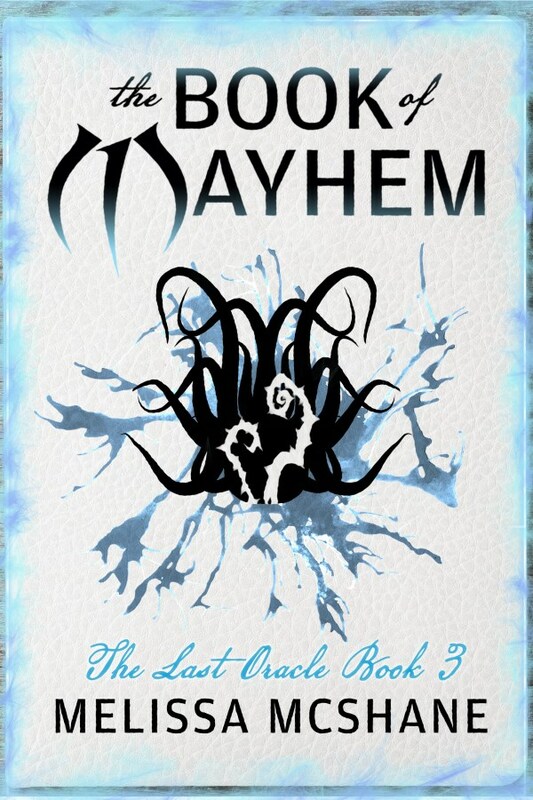 With the new title, The Book of Mayhem, slapped into place, the final cover turned out perfect. The designer used the thorny branch as the focal image (when you read the book, you’ll see why it’s appropriate) and that was it. 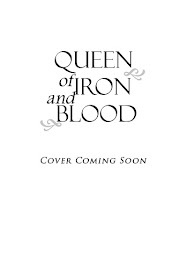 I had a cover. At that point, I had to choose whether to release the third book immediately, or wait until I could relaunch the series. When I looked at the calendar and realized how long it had been since The Book of Peril, the choice was clear. 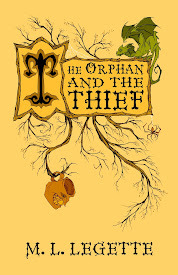 And today, the payoff from the ending of The Book of Peril is finally available to readers. I hope The Book of Mayhem is worth the wait. The Girl Who Drank the Moon, Kelly Barnhill: This middle-grade fantasy was simply delightful on all levels. By times humorous and deeply moving, it’s the sort of book that satisfies all ages of readers. 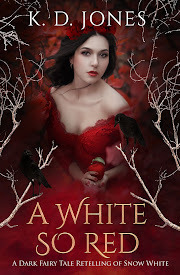 It was assigned reading for the fantasy workshop I took in April, but it was on my radar before that–and I’m glad the workshop pushed it up on the TBR list. It has so much to say about family, both the ones we’re born into and the ones we make for ourselves, and I found myself in tears more than once. Crush, Svetlana Chmakova: I’ve been a fan of Chmakova’s graphic novels for years, but I think her Berrybrook Middle School books are her best work yet. In this third volume, gentle giant Jorge, defender of the weak, is caught up in an unexpected crush on Jazmine–but the story goes so far beyond that into issues of honor and respect and body autonomy without being preachy that it blew me away. I recommend the whole series, starting with Awkward and Brave. ‘Salem’s Lot, Stephen King: I am not a reader of horror, and Stephen King’s writing is generally too harsh for my tastes, so I wouldn’t have picked this up if not for the aforementioned fantasy workshop. So I think I loved it more because I was not expecting to love it at all. I read it in two sittings and was never frightened, though it was extremely tense in places. It helped me discover that I only like books about vampires when they’re evil villains; I’d always thought I just didn’t like vampire stories. Probably my love of Dracula should have told me different, huh? But ‘Salem’s Lot was just fantastic. The Grace of Kings, Ken Liu: Another fantasy workshop book, and here I’m solidly in the minority. Most of the other attendees hated it, but I fell in love with the characters enough that I have no interest in continuing with the series. That really does make sense, I promise. The story ended with everyone happy, but also with hints of how that happiness was going to be destroyed, and I don’t want to see that. The book reads very much like a tapestry, with little gems of stories shining here and there, and it’s also the first epic fantasy I’ve enjoyed in a long time. The Guernsey Literary and Potato Peel Pie Society, Mary Ann Shaffer and Annie Barrows: I’d been meaning to read this for a while, ever since my daughter fell in love with it, but it got lost in the pile (I own over 1200 books I haven’t read). Sometime last year my daughter found out I hadn’t read it and was horrified, so I sat down right then and read it. It’s not a typical World War II novel right up front, and it’s an epistolary novel, which I’m a sucker for, so there was very little chance I wouldn’t love it. I didn’t know anything about the Nazi occupation of Guernsey, which made the whole thing feel very fresh, and the romance is adorable. Nine Coaches Waiting, Mary Stewart: I have a Goodreads friend who loves this book, and it had been years since I read anything by Mary Stewart (and that was the Arthurian saga, not her thrillers). It’s an older book with older sensibilities, but it suited my mood precisely. I was even okay with the instalove, because it made so much sense that the main character would not only fall in love at first sight (essentially) but also that it would turn out to be the real thing. It was beautiful, and I intend to read more Mary Stewart in the coming year. So that’s my 2018 in books. I’m looking forward to a new year with more books to read and write! Hearts and Swords BIG Promotion! 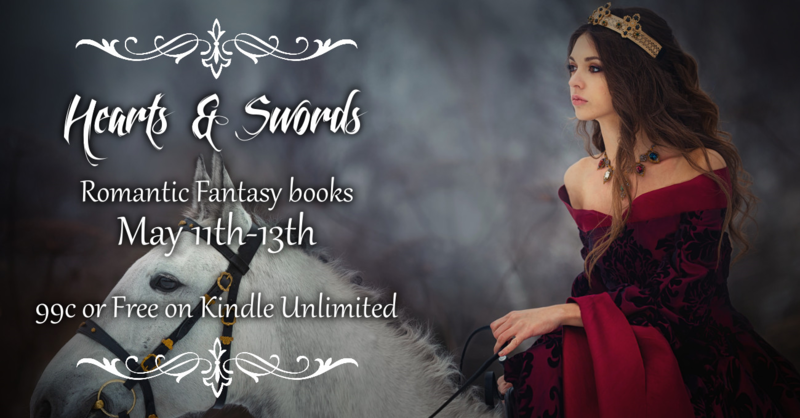 I’m part of the Hearts and Swords ebook sale at Miranda Honfleur’s site May 11-13. 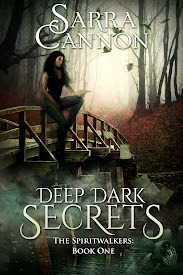 Most books are either 99 cents or free on Kindle Unlimited. 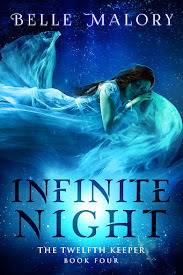 This is a great opportunity to buy romantic fantasy books and maybe find a new favorite. Check it out! 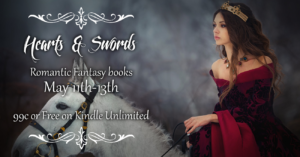 Author MelissaPosted on May 12, 2018 May 12, 2018 Categories business, online presence, sales2 Comments on Hearts and Swords BIG Promotion! 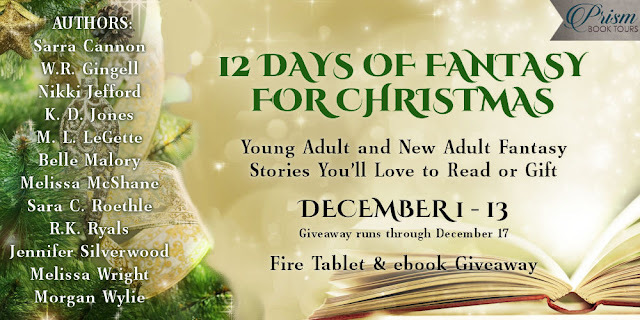 I’m taking part in a FABULOUS fantasy book tour for the first 12 days of December! Each day features a different author, so this is your chance to find new books and win a great prize. See the schedule below, and happy reading! We’re excited to share books from 12 fantasy authors with you this holiday season! Come back here or check out one of the participating blogs each day for a different author. 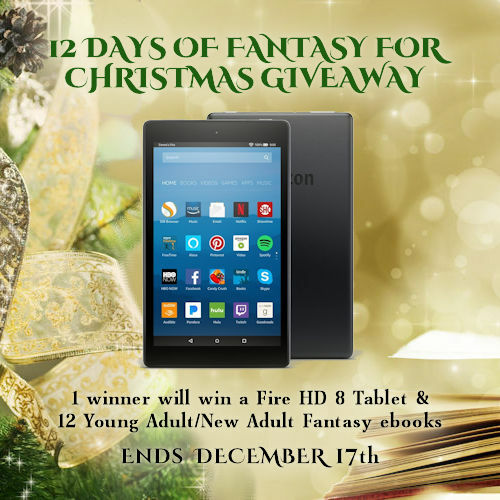 There is also a fabulous Fire Tablet and ebook giveaway! If you love fantasy, you don’t want to miss this! Bookstores were supposed to smell of old leather and dry paper. This one smelled of onion, of musty dry air trapped for centuries underground, smells that hung in the frigid air like invisible curtains. Aside from my own breath, the store was perfectly still, without even the whoosh of passing traffic to remind me of the world outside. I took a few steps toward the bookcases, peering around them for some sign of Mr. Briggs. Should I wait for him, or did he expect me to follow while he answered the phone? I’d had exactly three job interviews in my life, not counting the one that had gotten me the job at McDonald’s the summer I was sixteen, and I had no idea what the protocol was. My shoes, sensible pumps, tapped quietly across the cracked yellow linoleum, spangled with silver stars that time had worn to gray blisters. Still no sign of life. I straightened my skirt and took a seat on the folding chair next to the door. I stifled a shriek when my bare legs brushed the freezing metal. The chair wobbled when I shifted my weight, and I held still, afraid it might dump me off. I really didn’t want to touch the floor. It wobbled again, and I shot to my feet. Maybe standing was the better option. The wooden counter to my left was curved plywood stained walnut-dark, topped with a sheet of glass cracked like the linoleum. A stack of remaindered pop psychology books declaring I could Master My Potential! weighed it down at one end, and the antique cash register took up the other. It looked more like an art piece than anything functional, with brass filigree decorating its sides and back, and a Victorian valentine complete with lace appliqued to the top. It was hard to believe it was anything more than a conversation piece, but I’d seen Mr. Briggs use it when handling a sale ten minutes ago, so it wasn’t a joke. It had been a surprise when someone actually bought a book. I didn’t think anyone was brave enough to squeeze between the shelves. They were packed so tightly that if two people tried to negotiate the same aisle, one would have to back up to let the other pass. The highest shelves were well beyond the reach of an ordinary person, at least eight feet tall, and I hadn’t seen a stepladder. And the books… it made me shudder to look at them, crammed in any old way, flat on their faces or standing at attention, with more books piled on the tops of the bookcases. The idea of this going on for several hundred square feet gave me chills. I went to the nearest bookcase and examined the titles. There was no theme to their organization: a cookbook sat next to a book on the Prussian military campaign in 1805, which was next to a novel titled Translations in Celadon. I removed a book and sniffed its spine. It smelled just as it ought, of dry paper and dust, and that reassured me. The store might be strange, the organization nonexistent, but at least the books were sound. I’d half-expected to smell mildew or cigarette smoke. I heard a distant voice, barely more than a whisper. “Hello?” I said. “Mr. Briggs?” The whispering stopped. A draft of frigid air brushed my ear, making goose pimples rise up on my arms. The voice spoke again, but I still couldn’t understand it. I turned around fast, suddenly nervous that someone had managed to come in without my hearing them. No one. Either my imagination was piqued by my unusual surroundings, or the store was haunted. By the onion-scented ghost of a former owner, no doubt. Fifteen. That was almost half again what I could make at the Pick ‘n’ Pack, which was my only other job lead so far. “It sounds interesting,” I heard myself say. Mr. Briggs smiled, making his cheeks puff up like a blond chipmunk’s. “An excellent question,” he said, and moved off into the stacks without saying anything more. I stood unmoving, confused, for a few seconds before remembering I was now an employee and shouldn’t stand around gaping. Mr. Briggs showed me the tiny room, barely more than a closet, that in any other store I would have called a break room. It contained a small folding table and a couple of those freezing metal chairs, a wooden coatrack with two of the pegs sheared off, and a miniature refrigerator and microwave. I reluctantly hung my coat on one of the remaining pegs—the place was still bitterly cold—and followed Mr. Briggs to the room opposite, which turned out to be his office. Stacks of cardboard boxes full of glossy catalogues stood waist-high against the far wall, tilting haphazardly against one another. Mr. Briggs sat in a rolling office chair and leaned over to open the bottom drawer of the tan melamine and chrome desk. “This is the employee agreement,” he said, coming up with a single sheet of paper. “We’ve never seen the point of a lot of paperwork. Read it first, if you want, but it’s fairly basic. Then you sign here and here.” He pushed the phone, putty-colored and older than I was, out of the way to lay the paper on the desk. I read the document, which was handwritten in green ink. Abernathy’s wasn’t interested in my address, my Social Security number, my mother’s maiden name, or anything else. There were just a few paragraphs outlining the job description Mr. Briggs had given me, a few more paragraphs in which I asserted that I wasn’t a felon or a drug dealer, and then, bizarrely, a line that read I, _______ , swear to uphold the standards of Abernathy’s without fear or favor, and to seal its secrets in my heart, for as long as it remains in my charge. “… No. No problem.” I signed with the leaky plastic ballpoint he handed me, then gave pen and paper back to him and watched him countersign on the line below my signature. When he was gone, I took a catalogue from the topmost box and flipped through it. The glossy, slick cover had a blurred photo of the storefront under the name ABERNATHY’S. Someone stood next to the front door, possibly Mr. Briggs, though the photo was blurry enough it was impossible to tell. Inside, there was no table of contents; lines of tiny print spread neatly in two columns across gray recycled paper. I ran my finger down the columns, accidentally smearing the cheap ink. I didn’t recognize any of the titles, which weren’t in alphabetical order. Some catalogue. I dropped it back into the box and regarded the antique typewriter with a sigh. All right, it wasn’t all that antique, but forty years old was still old enough to qualify. I wasn’t even sure I knew how to use it. I found the labels and some blank white paper in one of the drawers of the filing cabinet. I practiced for a bit with the paper until I had the hang of the thing, then inserted the labels and started typing. For all the handwriting was crabby and small, it was easy to read, and I soon fell into a rhythm that let my brain wander pleasantly, far away from this store that smelled of onion. My parents would be thrilled I’d gotten the job, though they’d be just as thrilled if I was working at the Pick ‘n’ Pack. What they wanted was for me to be employed, period, so I’d move out of their basement and become a responsible adult. Not that they were as blunt about it as that. They’d been generous in letting me pay rent and some of the grocery bill, and never nagged me about my future. I was lucky, really. I came to the end of a sheet of labels and inserted a fresh one. My mind wandered away again. I was twenty-one years old; you’d think I’d have some idea what I wanted to do with my life. But I’d graduated from high school without making much of an academic splash, had made it through a couple of years of community college before the money ran out, and now… Well, this wasn’t the best job in the world, but if I could stick it out, maybe get a raise—did Mr. Briggs offer benefits?—I might, at some point, come close to having a clue about my future. I heard whispering again, and turned around fast, knocking the list to the floor. Nothing. I got up and opened the door. The hall outside was empty. I shut the door again and shook my head. I was being stupid. Just because the bookstore and Mr. Briggs were a little weird didn’t mean I had to let my imagination come up with more weirdness. I was level-headed and not superstitious, and I was wasting time. The mailing list had fallen splayed-out on the floor. I leaned over to pick it up, and a wave of dizziness struck me. For a moment, the room was outlined in flickering blue light. Then it passed, and I sat clutching the list in both hands. That had been strange. I bent over and sat up again, but felt nothing but a brief pressure as the blood rushed to my head and away again. The room looked perfectly normal. Shrugging, I spread out the mailing list again and resumed typing. I could ask Mr. Briggs… and have him decide his new employee was mentally unstable. It could stay a mystery. By the time I reached the end of the mailing list, I was starving. I checked my watch. 1:17. I hadn’t brought any food because I hadn’t expected to start work immediately. There was a market around the corner. Mr. Briggs had to give me some sort of lunch break, right? Mr. Briggs was gone when I left his office. I checked the break room and knocked tentatively on the washroom door; both were empty. I quickly used the toilet, which was as ancient as the typewriter, probably had one of those 3.5 gallon tanks that weren’t legal anymore, washed my hands, and ventured into the bookstore proper. Most of the bookcases were knocked together out of plywood and lengths of unfinished yellow 2x8s, though there were a few proper cases of polished, chipped oak and two blackish-brown units that came from IKEA. I sidled between them, unwilling to call out Mr. Briggs’ name into the silence of the store. The hush was so profound I imagined the books were sleeping. Just as I’d begun a reverie about putting books down for a nap and imagining what kind of lullabies they would prefer, I heard the door open, then slam shut with such force it rippled through my skin. That couldn’t possibly be Mr. Briggs. I hurried to the front of the store, feeling a sidelong sense of responsibility at being, as far as I could tell, the only Abernathy’s employee on site. Then I felt embarrassed at my reaction. It was a store. People were supposed to come in and browse, Mr. Briggs’ odd notions to the contrary. Even so, I probably shouldn’t give anyone ideas about shoplifting. The man was standing next to the counter when I emerged from the maze of bookcases, as if he’d been waiting for me. In his three-piece pinstriped suit, handstitched leather shoes, and heavy gold watch, he looked as out of place in Abernathy’s as a computerized cash register would be. He was studying his watch, but looked up when I arrived, and I felt caught by his dark-eyed gaze, pinned to the nearest case like a captive butterfly. “Who are you?” he said, somewhat irritably. “Helena Davies. I started work this morning.” I immediately wished I hadn’t sounded so defensive. I swallowed a sharp response. The customer is always right, especially when he could probably buy this whole store twice over. “Can I help you with something?” I said, hoping he’d say no, because the only help I was capable of giving was directions to the toilet, which wasn’t for public use. “I don’t know—” I shut my mouth. I felt I’d already told this man too much. “Please wait here,” I said, and backed away. Turning my back on him made me nervous. I hadn’t realized there was a third door beyond the office and the break room. It was flat plywood, stained dark like the walls of the short hallway, with an iron knob that looked like a black knot against the wood. I opened it to find stairs descending into perfect blackness. A string swayed in the faint breeze of the opening door, and I tugged on it, lighting a single dim bulb that didn’t do much more than set shadows moving. The steps were raw wood, splintered on the edges except where hundreds of feet had worn them smooth. They didn’t creak under my weight, to my surprise; I’d almost expected the cries of the damned with every step. At the bottom of the stairs, there was a light switch. I flipped it on, and a couple of fluorescent bulbs flickered into life. They cast a brilliant light over the small, cold basement with its dark concrete floor. I looked down, and screamed. Mr. Briggs lay face down a few feet from the foot of the stairs. Dark blood spread across the back of his argyle sweater and pooled beneath his chest and head. I stumbled forward and knelt beside him, scraping one knee on the cold concrete. His eyes were closed, and I fumbled at his throat for a pulse. I didn’t know how to find a pulse. I didn’t know how to do any of the things you were supposed to do to see if someone was alive. I leaned far forward, holding my hair out of the way, and put my cheek near his mouth. No warmth, no breath. Someone thundered down the stairs. “Move back,” the strange man said. I scooted back, tugging my skirt over my knees, and watched the stranger crouch over Mr. Briggs and repeat the same movements I’d made. Finally, he stood up and put his hands on his hips. “Nathaniel,” he said. It sounded like a reprimand. As if Mr. Briggs was in trouble for being killed. “What are you—we have to call the police!” I reached for my phone and came up empty. I’d left it in my purse—no pockets in this skirt. I felt my breath coming in quick, ragged pants and forced myself to stay calm. I looked at him, at his height and the way he stood, and felt more chilled even than the basement could account for. “I… think I’ll risk it.” I took a few casual steps toward the stairs, never letting my eyes leave his face. I’m no longer offering the Convergence trilogy for free, but the first book, The Summoned Mage, is available for FREE at all major online retailers. Links are on the page here. 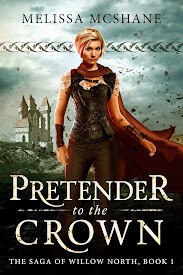 The next Crown of Tremontane novel is the first book in the Willow North trilogy, Pretender to the Crown. It will be published September 19 and is now available for preorder at Amazon, Barnes & Noble, Kobo, Smashwords, the Apple store, and others. The next Extraordinaries novel, Abounding Might, will be published October 3. This one will be available through Amazon only (this is something my publisher does, sorry!). The first book in my new series The Last Oracle, The Book of Secrets, will be out in mid-January. This is a contemporary fantasy about a young woman who takes a job at a bookstore and discovers it’s hiding a world of secrets. I’ve started writing a new series! 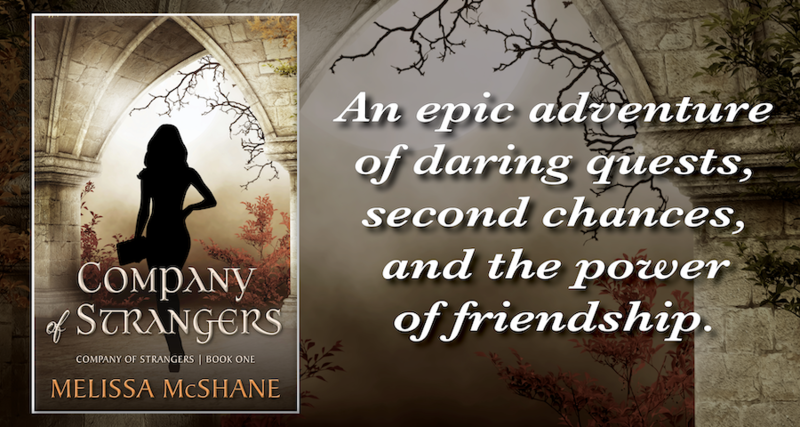 The book, titled Company of Strangers, is old-fashioned adventure fantasy with wizards, warriors, thieves, and strange magic. 400 years after wars both magical and mundane devastated the world, men and women called scrappers take jobs to locate ancient relics and explore lost ruins. 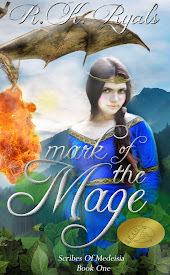 The young wizard Sienne, trying to escape her past, takes a job with a team that is anything but unified. But what they find is far more than an ordinary ruin, and forces them to work together or face death. I’m afraid I’m the only one who will like this, but I’m having fun writing it! And in other news, Burning Bright is a semifinalist in the 2017 Kindle Book Awards! That’s it for now. Thanks for reading! I started writing Sesskia’s Diary as an experiment in epistolary form. It very soon grew out of control. While I was publishing one or maybe two entries twice a week, I was writing well ahead of schedule. The diary is now complete, and I’ve just been posting excerpts on that twice-weekly schedule. The plan has always been to publish the whole thing as a book, or several books, as soon as it was all up on the blog. But I’ve run into a problem. I’m impatient, and I want everyone to be able to read the story. The slow pace of the blog schedule means if I keep to twice a week, I’ll finish in a couple of years. Even going to a daily schedule is going to take forever. 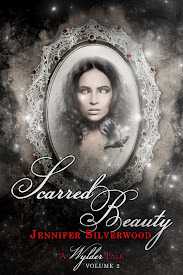 I realize this may come as a disappointment, since I’m now going to be charging for what I was offering for free, so I’m making a special offer available for readers of Sesskia’s Diary. Write to me at writer@melissamcshanewrites.com with the subject line Sesskia’s Diary, and I will send you the ENTIRE Convergence trilogy, which contains bonus scenes from Cederic’s point of view. Convergence goes on sale in one week, so you’ll have it in advance of publication. Thanks to those of you who’ve been reading along. I hope you enjoy the conclusion of Sesskia’s adventures! Back to work. Cianan and Kerkessa both killed, Cianan by a lucky rifle shot, Kerkessa by a lightning bolt created by one of those battle mages. I don’t think it was on purpose, or rather I don’t think the mage knew what Kerkessa was, or we’d have had several more bolts to deal with. Saemon collapsed—I wasn’t paying attention to how often he was using the mind-moving pouvra, maybe I didn’t care because he’s got the longest range of any of us and had the clever idea of targeting the mages themselves. So he was flinging one of the battle mages across the field and into the middle of the fighting, and then his eyes rolled up in his head and he just folded up on himself so fast no one even caught him. We took him back to his tent and Alessabeka’s sitting with him. She still feels guilty about Rutika, though I think she knows it’s inappropriate guilt, so whenever I can give her something to do that takes her away from the battlefield, I do. We don’t really know how the battle’s going, though Mattiak doesn’t look grim, so I don’t think we’re losing. I hope. I’m writing this in between bites of bread and cheese, which is all we get for dinner because our “servants” are off fighting somewhere. Then I’m going back to try the fire-summoning pouvra again. There has to be a way to keep them from putting out the fires quickly. At least it keeps them from attacking our people, if not permanently. Fighting’s stopped again for the night. They haven’t used the war wagons against us again, don’t know why. Had a talk with Mattiak about us changing tactics and attacking their officers. He approved. I told everyone the new plan. They are all so tired. I’ve never used so many pouvrin so often. It feels like the ground is pulling us down to meet it, the dead grass binding our feet so we can’t move. I think we need to be more careful. Saemon’s still not totally recovered from his collapse and hasn’t been able to work any pouvrin since then. I had to reassure him that magic isn’t something that vanishes like water down a drain, but it’s true that I’m having more trouble bending my will to meet the pouvrin as the hours pass, so there might come a time when none of us can work magic. Trying not to dwell on that, as there’s nothing we can do about it. Some kind of cease fire so the armies can collect the dead and wounded. I can’t tell how things are going and I don’t want to go to Mattiak for fear he’ll think I’m weakening toward him. No casualties among the mages. Dinner tasted like sand, not the fault of our cook. I wonder if I should get a watch. I’m not usually in a position to care about the exact time, but if I’m going to make several entries a day, maybe I should be accurate. That was a really stupid thought. I don’t care what time it is. I’m crossing that out. Fighting started again about an hour ago. This war is so stupid. We’re all too tired still to fight, so I sent everyone back to bed. Then I had a loud argument with Mattiak about it that ended with him shouting at me and me shouting at him, then me storming off to my tent. I know he’s the commander, but he needs to listen to me when I tell him we’ve reached our limit. Mattiak came to apologize. I apologized too. Then he tried to embrace me and I had to shove him away and shout again. Then I started crying. I hate this war. He had the good sense to leave without saying anything else. We’ve been fighting for seven hours now and we’re all exhausted. The battle mages were, as I predicted, prepared for our assault. They have defensive kathanas now, shimmering pale shields that protect them from missiles, and while they can’t defend against fire, they can dismiss it before it does too much damage. The shields don’t hold up against really big missiles thrown really fast, but there are fewer of us who can do that. The only good thing about them is they make it easy for us to see our targets through the nightmare furor that is the battlefield—people milling around, clustering so we can’t even tell our men from theirs. The Castavirans don’t have Cederic’s shield. We’d have no chance against it. The melee fighting hasn’t reached us yet, not anywhere close. The war wagons have stopped firing now that they’ll pulverize their own people as well as ours if they do. The battle mages still have no idea who or where we are. Number 4 can’t last long. I’ve had our people move occasionally and spread out into little groups so we’re not obvious, and of course I’ve forced them to abandon Norsselen’s gesturing, but at some point someone’s going to use logic, and then we’ll be in trouble. I’m going to nap, and maybe this will all look better later.